Piedmont is ravishing, a northerly corner of Italy, bounded by The Alps, influenced by France, and full of natural and cultural beauty. 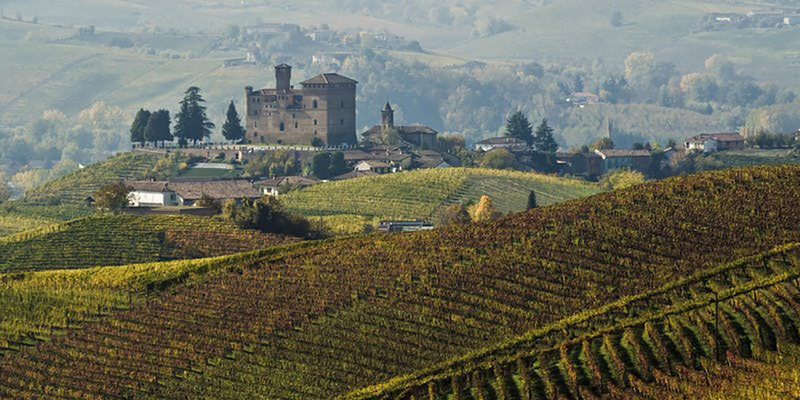 This aristocratic Italian wine region glows in the glory of its most famous wine, Barolo. This “King of Wine, and Wine of Kings” is the ultimate expression of Nebbiolo, a grape that shares with Pinot Noir a mercurial interaction with environment but is distinguished by a finely confident tannic backbone. Glorious as Barolo is, there is so much more to Piedmont, and this tasting is designed to demonstrate the diversity of style and price point available in this admired but still underestimated region. #Barolo&Friends comprises a walk-around tasting of wines from across Piedmont. Whites include delicately intense denominations such as Gavi and Roero. You should expect to taste Cortese, Arneis, Favorita and (sparkling) Moscato. Nebbiolo will be well-represented, with wines from the famous denominations, such as Barolo and Barbaresco, and the lesser-known. Beyond Nebbiolo, there are the delightful, perfumed reds made from grapes including Barbera, Dolcetto and Freisa. An #AtelierPiemonte masterclass will be tutored by Sarah Abbott MW and Michele Shah. The masterclass will feature a selection of wines from Piedmont, chosen to illustrate the nuance and versatility of the region. Wines will be served with small tasting plates of food to highlight the versatility of wines from this famously gastronomic region. Admittance is reserved for members of the wine trade and press. Please supply your trade or press credentials when registering. Please note that the tasting and masterclass is for trade and press only.